The APACC Team with PPSAT’s management, instructors and staff during the on-site visit. 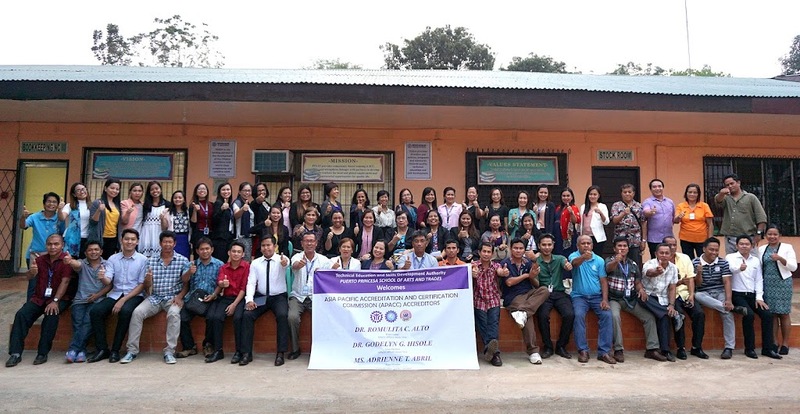 Determined to elevate or maintain its accreditation level, the Puerto Princesa School of Arts and Trades (PPSAT), located in Santa Monica, Puerto Princesa City, Palawan, Philippines, subjected itself to another Asia Pacific Accreditation and Certification Commission (APACC) on-site revisit held April 6 – 7, 2017. 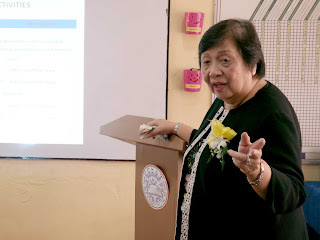 The Team Leader and Faculty Consultant of the Colombo Plan Staff College (CPSC) Dr. Romulita Alto and Team Member and Associate Professor V of the Iloilo Science and Technology University (ISAT-U) Dr. Godelyn Hisole, led the on-site visit activities. 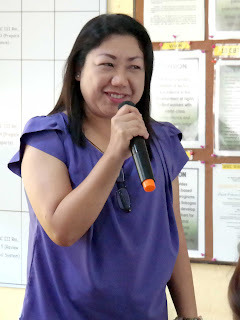 CPSC’s Projects and Consultancy Officer Ms. Adrienne Abril also served as a team member. Dr. Godelyn Hisole delivers her Special Remarks The 2-day on-site visit aimed to assess PPSAT’s continued compliance to the seven (7) APACC criteria – Governance and Management; Teaching and Learning; Faculty and Staff; Research and Development; Extension, Consultancy, and Linkages; Resources, and Support to Students. 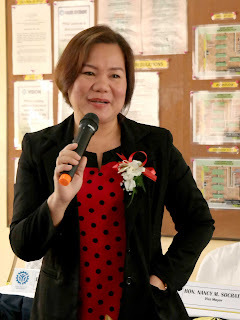 The PPSAT management, faculty, and staff, headed by the Vocational School Administrator III Dr. Clarissa Posadas were in full attendance in welcoming the APACC Team during the opening program. The opening event was graced by Honorable Nancy Socrates, Vice Mayor of Puerto Princesa City. She shared how PPSAT effectively handles trainings especially those for the poor and underprivileged in the communities. Mr. Ricky Cuya and Mr. Ricky Fernandez of a partner institution A&A Hotel, were also present during the opening program. They mentioned that PPSAT students being sent to their hotel for on-the-job training are well-oriented, able to catch up quickly, and are with good attitude. Dr. Romulita Alto delivers her Special Remarks and provides orientation on the itinerary of the visit In her opening speech, Dr. Posadas shared PPSAT’s positive experience after receiving APACC accreditation, including receiving scholarship awards from TESDA Central Office and plaques of recognition from the Central Office as well as the Regional Office. She informed that the APACC award made them confident on the quality of training they provide to students. As a requirement by APACC, the institution presented during the opening program, the actions taken on the recommendations provided on the last on-site revisit held in February 2014. PPSAT is a Technical Education and Skills Development Authority (TESDA) Vocational Training Institute created by the Philippine Republic Act 7928 in 1995, the act which separated the Puerto Princesa School for Philippine Craftsmen from the Palawan Integrated National School. Honorable Nancy Socrates, Vice Mayor of Puerto Princesa City during her speech Its vision is to be the leading institution of technical excellence in the development of highly skilled workers with world-class competence and desirable work values responsive to the demands of the industry. PPSAT’s mission is to provide competency-based training programs and strengthens linkages with partners to develop competent workers for local and global employment and entrepreneurial opportunities for quality life. Competency-Based Courses being offered in PPSAT are Bookkeeping NC III, Bread & Pastry Production NC II, Carpentry NC II, Computer Systems Servicing NC II, Electrical Installation & Maintenance NC II & III, Electronics and Products Assembly Services NC II, Food and Beverages Services NC II & III, Food Processing NC II, Front Office Services NC II, Housekeeping NC II, Machining NC I & II, Masonry NC II, Massage Therapy NC II, Plumbing NC II, Shielded Metal Arc Welding NC II, Tile Setting NC II, Tour Guiding NC II, Trainer’s Methodology Level I, and Language Skills. Dr. Clarissa Posadas gives her opening remarks at the opening. The on-site visit included a tour of the school premises and an ocular inspection of the school’s facilities. 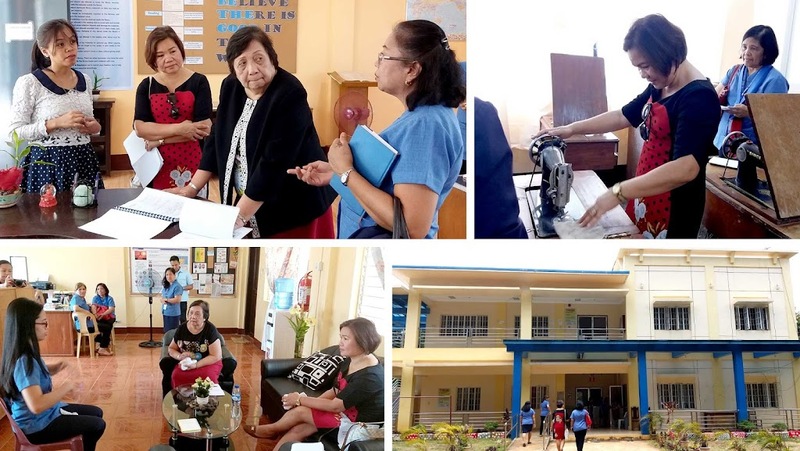 Interviews with the Vocational School Administrator, instructors, staff and students were also conducted to strengthen the data gathered by the accreditors as well as to seek their suggestions and views. At the exit meeting, the team leader Dr. Alto, presented the highlights of the on-site visit, including the qualitative results detailing the commendations (demonstrated strengths), affirmations (healthy practices being adopted), and recommendations (suggested measures to address areas for improvement). 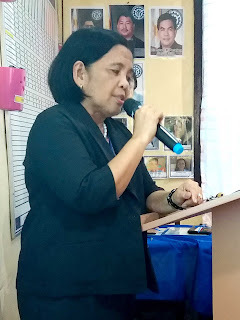 Ms. Mary Joan C. Awayan, Program Manager of a partner non-government organization, the Malampaya Foundation, Inc. (MFI), was present during the said meeting. By policy, results of the accreditation status of institutions being accredited are declared upon deliberation of the APACC Board and consequently communicated to institutions accordingly.